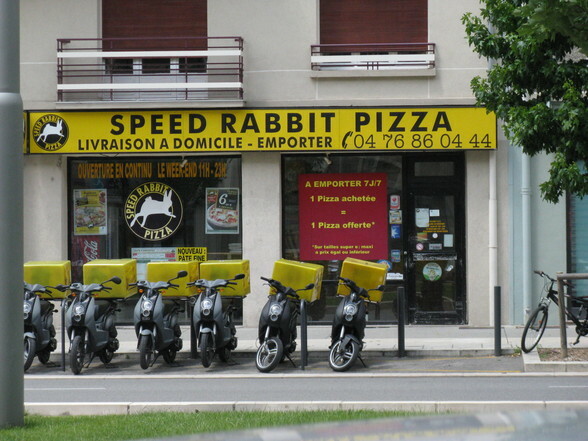 Vinnie tells me this isn’t funny, it is just a well known Grenoble pizza delivery joint. I beg to differ. Erm .. do they have any other toppings? I’m also tempted to observe that the rabbits in question clearly were not speedy enough. That has to be the worst name ever!